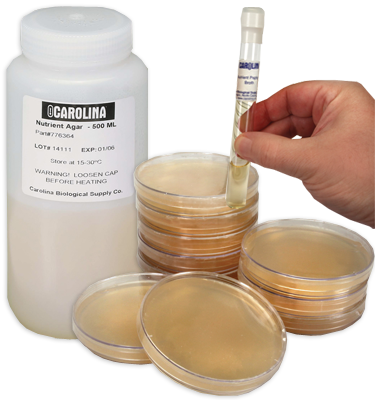 Skim Milk Agar, Prepared Media Bottle, 125 mL is rated 5.0 out of 5 by 1. Designed for use with Flavobacterium capsulatum bacteria. No autoclave needed. Each bottle of bacteriological medium contains 125 mL of ready-to-use material. This amount is sufficient for pouring up to 5 plates or 15 to 20 tubes. The bottle is sealed to prevent contamination and drying. Prepared Media Bottles are 100% Satisfaction Guaranteed. Note: The species listed is not an inclusive list and is provided to assist novice users in selecting compatible media and bacteria.